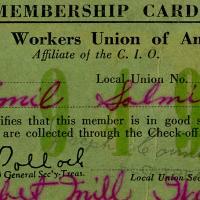 A series of five Textile Union Membership Cards for Emil Salmi, dated 1918, 1942, 1947, 1949, and 1950. Paper, 2.25 x 3.5 in. 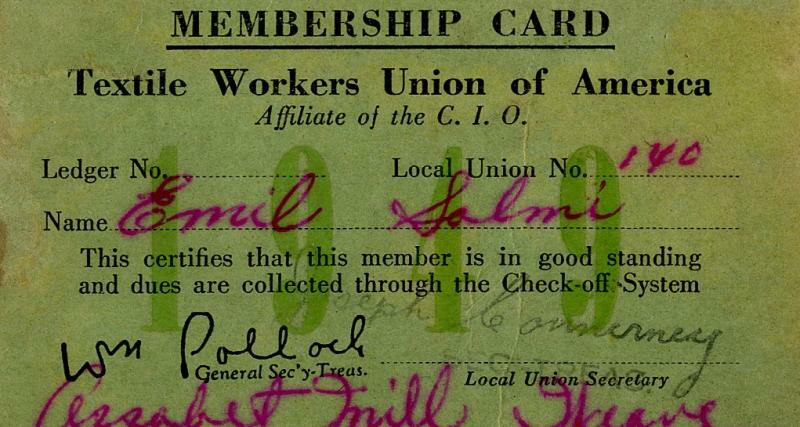 “Textile Union Membership Cards,” Maynard Historical Society Archives, accessed April 24, 2019, http://collection.maynardhistory.org/items/show/6276.